Mushrooms (Agaricus) are not a fruit or a vegetable, they are edible fungi and a great addition to a healthy diet. There are many different types of edible mushrooms but it’s important to eat only organically grown ones. They have different color, flavor, texture, shape and potential health benefits, but all of them are totally delicious. Mushrooms are going to help you with: cholesterol levels, diabetes, anemia, asthma, breast cancer, rheumatoid arthritis, prostate cancer, renal failure, bone health, stroke damage, immune system, high blood pressure, absorption of iron from food and weight loss. By being exposed to sunlight, nearly all species of edible mushrooms, like human skin, can produce vitamin D. Mushrooms are only fruit or vegetable source of this vitamin, which is essential for healthy bones and teeth. There are bioluminescent mushrooms, in Mycena family, that actually glow in the dark. These mushrooms use chemical reaction called bioluminescence to produce glowing light known as foxfire. In the past, people have been known to use these mushrooms to illuminate their way through the woods. Before the invention of synthetic dyes, people were boiling wild mushrooms to create beautiful vibrant dyes. 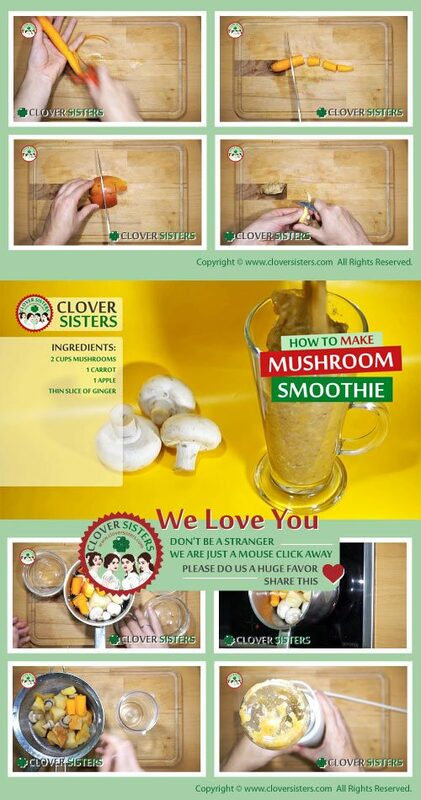 You can make nearly every colour of the rainbow by changing types of mushrooms and solvents. This organic dye can be used for dyeing wool and other natural fibers. Osteoporosis is a condition of an imbalance between new bone formation and old bone resorption, that cause bones to become less dense and more fragile. As one of few natural sources of vitamin D, mushrooms are very important for the bone health. Scientists believe that Vitamin D is the key element for development and maintenance of bone, because our body needs vitamin D to help absorb calcium. Mercury poisoning is a type of poisoning that affects the neurologic, gastrointestinal (GI) and renal organ systems and occurs in people who are exposure to heavy metal mercury. Scientific experiments show that coadministration with selenium has ability to reduce the toxicity of heavy metals like mercury. The natural way to safely remove mercury from your body is consumption of selenium rich mushrooms. By alkalizing the body through diet certain health conditions, such as arthritis, cancer … eczema, which are acidic by nature, can be prevented. Consummation of alkaline foods like mushrooms, which are increasing your body’s pH levels, is flushing out harmful toxins from human body. Cook 2 cups of mushroom, 1 carrot and 1 apple shortly and let it cool. Blend cooled ingredients and add the tin slice of ginger.